What Do We Want Next From The Cloverfield Franchise? 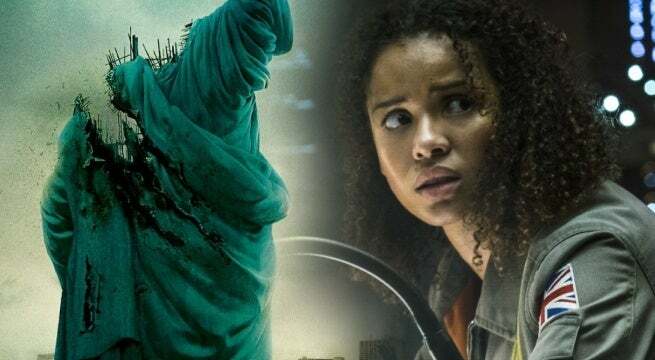 The Cloverfield Paradox has left fans divided, but despite the mixed reception interest has far from died when it comes to the franchise, and there are some things we would love to see from it in the future. Major spoilers incoming for all three Cloverfield films, so if you haven't seen them yet you've been warned. The franchise's biggest weakness is in many ways also its biggest strength, that being the overarching mystery of the franchise. The first Cloverfield was such a unique beast, both literally and figuratively, as it offered way more questions than answers. 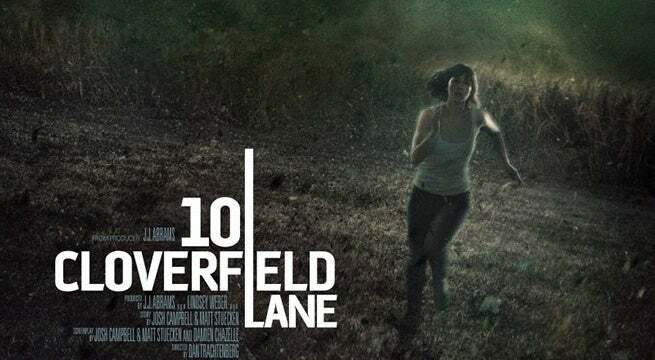 Where did the monster come from, why is it attacking now, and just what is it are all questions that fans are left with, but that secrecy is what kept them intrigued until the equally mysterious 10 Cloverfield Lane. That film offered up a personal story of a grieving father who took his want of a daughter to a demented level, but those last 10 minutes place all of it within a crazy science fiction candy wrapper. All the sudden it wasn't just a story between three people, but one with alien spaceships and grotesque monsters trying to kill you. Then Cloverfield Paradox came along, attempting to explain how the original Cloverfield monster got to Earth and did so in a convincing manner. It also opened the door to even more insanity though, as we'll get into in a bit. The Cloverfield franchise has been full of surprises thus far, and it's one of the reasons fans keep getting excited for them, despite their at times lack of answers. We've got a few ideas of what we want to see from future films, so hit the next slide to see if your picks match up with ours! Slide 1/8 – What Happened To Ava and Schmidt? At the end of Cloverfield Paradox, Ava and Schmidt are on their way back to Earth from the Cloverfield Station. They've finally made it home, but as their pod sails past the clouds a tense silence overtakes the scene, followed by an enormous Cloverfield monster piercing the cloud line with a thunderous roar. That's where it ends, but what happens right after? Imagine the opening of the film taking place right as the pod sails past the cloudline, heading towards the ocean. The pod is fraying a bit as it heads towards the water, through which Ava can see something bending its head and moving by the buildings. It sees the pod, and as Ava almost locks eyes with the monster they hit the water. Paradox planted seeds that there were many of these things now on Earth, and we would love to see what happens next. Speaking of wanting to see things pick up where they left off, let's move to 10 Cloverfield Lane. In that film, Michelle realizes that Aliens have taken over the planet, and even ends up destroying an alien ship in order to keep it from essentially swallowing her and her truck. Michelle changes quite a bit by the end of this film, and that results in her making a very courageous choice. Instead of heading to the safe zone she hears about on the radio, she chooses to go to Houston once she hits the crossroads. The radio says Houston needs help, and this Michelle is someone who doesn't want to run away anymore. She wants to fight, and we would love to see the continuation of that storyline. Fans could learn more about the aliens in this era, how they took over, and what humanity is doing to stay alive and not under their thumb. It could be great and could be an amazing way to add yet another layer to the Cloverfield universe. Cloverfield Overlord is actually Cloverfield 4 and is already being worked on. As J.J. Abrams has recently revealed, Overlord will be directed by Julius Avery. According to earlier reports, Overlord is set during World War II and will feature the Nazis toying with supernatural forces as they try and win the war. This provides plenty of avenues to introduce monsters and creatures new and old and will bring a very different spin to the Cloverfield universe. Not much else is known about the project, other than that this one is being planned for theaters, as opposed to Paradox's Netflix debut. Cloverfield Paradox opened the door for not only other dimensions making their way into ours but also changes in the very fabric of time. That's important to note, especially when you factor in that Paradox takes place in the year 2028, 20 full years after the original Cloverfield in 2008. The monster seen in the final minutes of Paradox is not the same monster in the original, though the statement that the original was just a baby definitely turns out to be true. 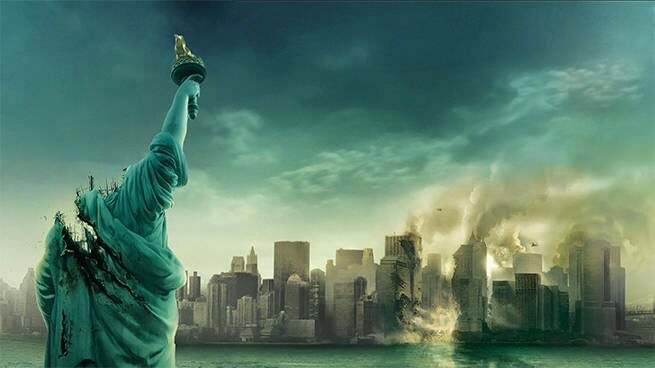 It's been revealed that Paradox and the original Cloverfield are not taking place at the same time, despite some unplanned similarities. It is said in Paradox that rifts created by Cloverfield Station not only affect space but also time, so any era can have rifts form as a result. So, the toybox is open, so why not head to other notable eras and timelines for side stories that feed into the greater mystery of the Cloverfield universe? Sounds great right? Overlord is kicking things off with World War II, so we'll see how things progress after that. The original Cloverfield was directed by Matt Reeves, and while he has his hands full with The Batman movie, we would love to see him return to deliver another Cloverfield film. The original's hand cam approach was part of its appeal, creating a palpable tension and only teasing the monster through the majority of the movie. It created an amazing atmosphere and never showed the creature for too long, keeping the sense of mystery and awe until the film's final moments. We would love to see him behind the camera once again, though the series seems to favor a new director with every installment. It makes sense to a degree, but if Bad Robot ever does a true sequel to the original, Reeves is the man for the job. While you have rifts dealing with time and space, why not shift things underwater? This would be based around a set of scuba divers or explorers who find an unmarked set of caverns in the ocean, only to find out that this was actually a city that was overtaken by the waves after an unknown event took place. What is that event? Well, it has to do with another dimension and crazy creatures, and it could tie in the location to one of the locations from the previous films, revealing its place in the timeline and adding one more piece to the franchise's lore. It can't be just monsters and aliens coming through these rifts, so why not expand that to something else? That's the idea behind the Cloverfield Infection, an otherworldly virus that has started taking its toll on the populace. Now, it couldn't just be undead vs humanity, because we've seen that hundreds of times. It would have to put its own unique spin on things, but the idea that plagues and such have made their way through is an interesting one, and with the right director it could add a unique flavor to the franchise. This would likely be the end of the franchise, but it wouldn't necessarily have to be. At some point after Paradox, humanity now knows what they did to wreck space-time, so they would probably put a mission together to try and repair it. It would require them sacrificing their new energy source, but then again, if you're not alive to use it then energy doesn't have much use. Depending on the number of films, it would be interesting to see characters from the other films come together in this mission. If other creatures can enter through the rifts, why not us? Granted, there are few happy endings in the Cloverfield universe, so there's no certainty that they actually fix it, but it would make for an entertaining finale regardless.